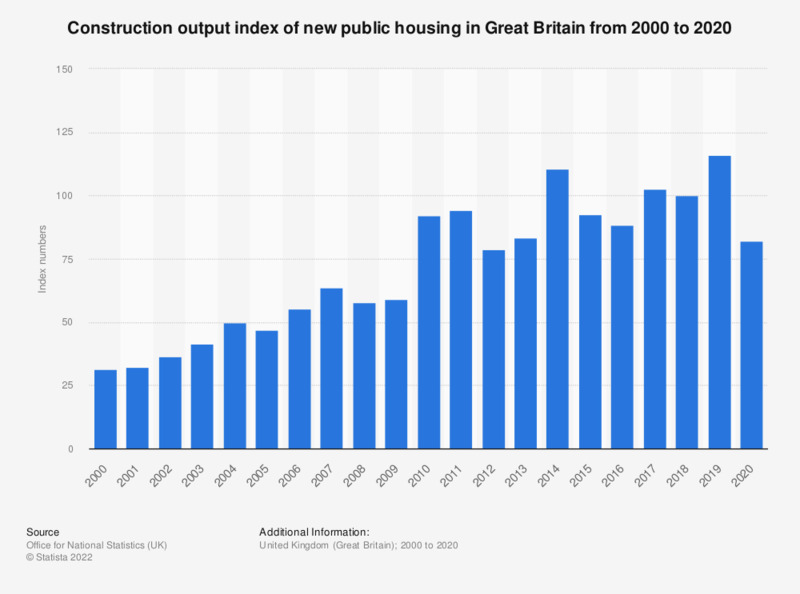 This statistic displays the construction output index of new public housing in Great Britain from 2010 to 2018. This index measures the construction output of new public housing within Great Britain compared to the construction output in 2016. The peak for this nineteen year period was in 2017, when the index reached 121.9. In 2018, the construction input index of new public housing decreased to 119.4. The trend for these years was one of increase, despite some fluctuation.